Ryan Ramos of Echo leads all scorers with 16 points. Nine players overall score for the Cougars. ECHO - Echo High School hosted the Echo Invitational Tournament on Friday and Saturday December 5 and 6, 2008. 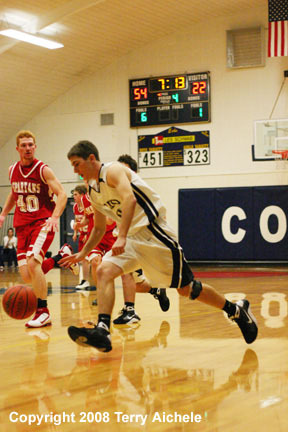 The Cougars hosted the Pine Eagle Spartans in the late Friday boys game. The Spartans showed up with six players. Nine Cougars scored with the leaders being Ryan Ramos with 16 and Colter McCallum with 15 points. The first quarter was close with Echo having a 9-6 lead at the end of the period. Echo opened things up a little in the second. Echo lead 13-10 at the five minute mark and went on a 17-2 run that had leading 32-12 at the close of the first half. 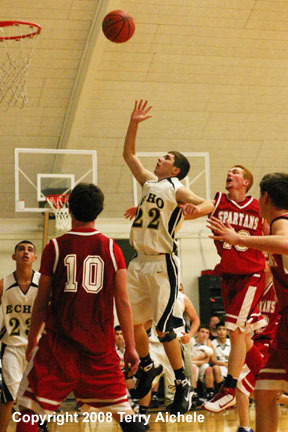 Echo scored eight points at the opening of the third quarter before the Spartans got on the board with a freethrow. Halfway through the third quater Echo lead 44-16. The strong defense of the Cougs allowed them to steal the ball several time in the middle of quarter setting up some easy points. Echo stretched their lead to 34 by the end of quarter giving them a 54-20 score at the end of the third. Echo scored 20 to the Spartan's 13 in the final quarter to take a 74-33 win. Echo had nine players scoring. Ryan Ramos 16, Colter McCallum 15, Jacob Eby 10, Andy McFarlane 8, Jorge Munoz 6, Micah Danner 6, Ray Harris 5, Braden Williams 4 and Brian Ibarra 4. The Cougars had 15 steals and 14 assists. The Spartans scorers were Justice Walker 12, Jesse Smit 10, Jake Traw 8, and Brendan Clasen 3. LEFT - Ryan Ramos of Echo passes the ball. 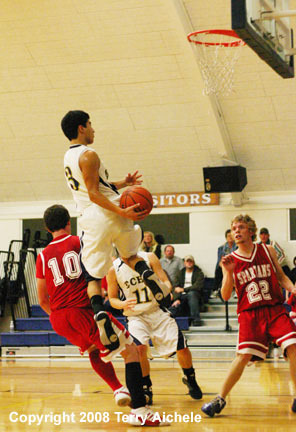 RIGHT - Brian Ibarra of Echo drives in for a layup. 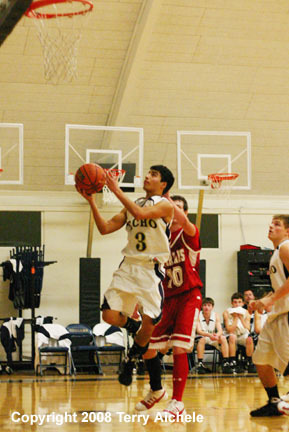 LEFT - Jorge Munoz of Echo drives to the basket. 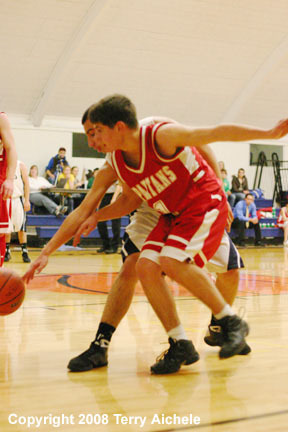 RIGHT - Jacob Eby of Echo dribbles around a Spartan defender. 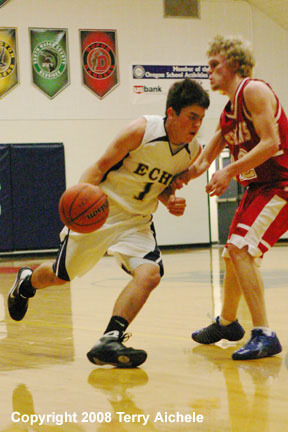 LEFT - Jacob Eby of Echo drives to the basket on Friday night. Eby scored ten points. 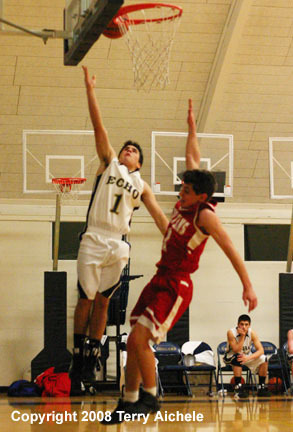 RIGHT - Jorge of Echo goes for the layup during the game on Friday night. Munoz finished with six points. 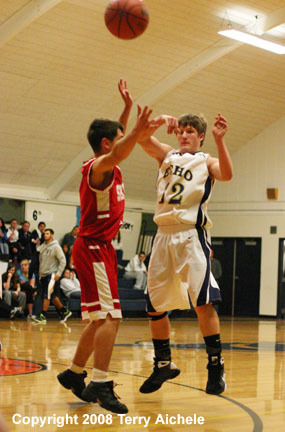 LEFT - Ray Harris of Echo on the layup drive. Harris scored five points Friday night. 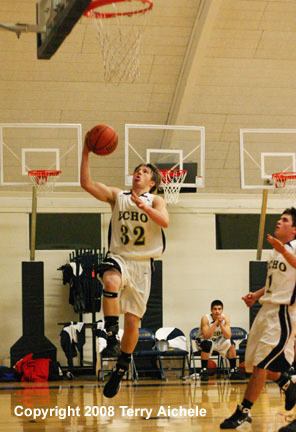 RIGHT - Echo's Micah Danner on the layup. 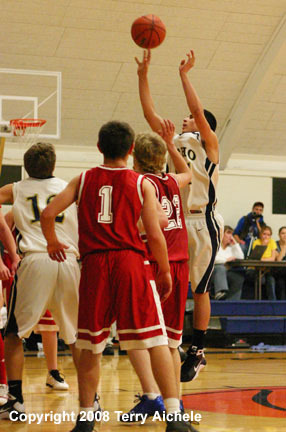 Danner scored six points in the game Friday night. LEFT - Ray Harris of Echo cuts through Spartan defenders. 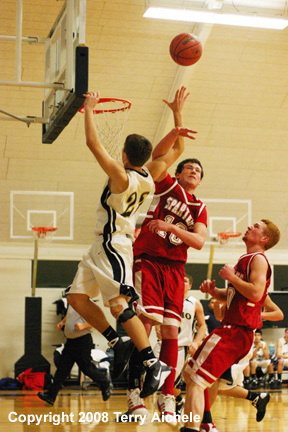 RIGHT - Echo's Colter McCallum in white, gets tangled up with Jake Traw of Pine Eagle on a drive to the basket. 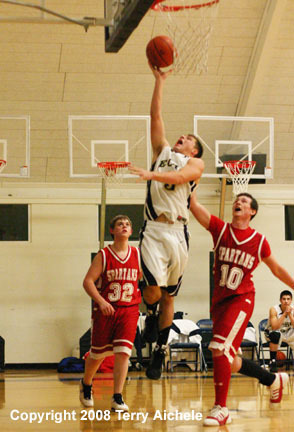 LEFT - Brendan Clasen of Pine Eagle cuts in for a steal during the game against Echo on Friday. 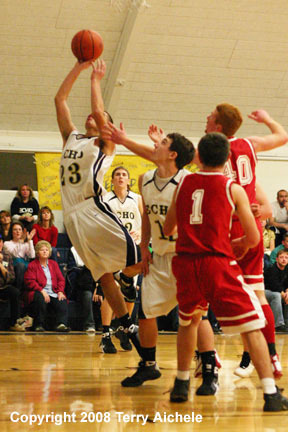 RIGHT - Brian Ibarra of Echo takes a shot during the game Friday night against Pine Eagle. Andy McFarlane of Echo takes a shot during the game Friday night.